British Leader: Trendsetter, Or A Bit Too Casual? 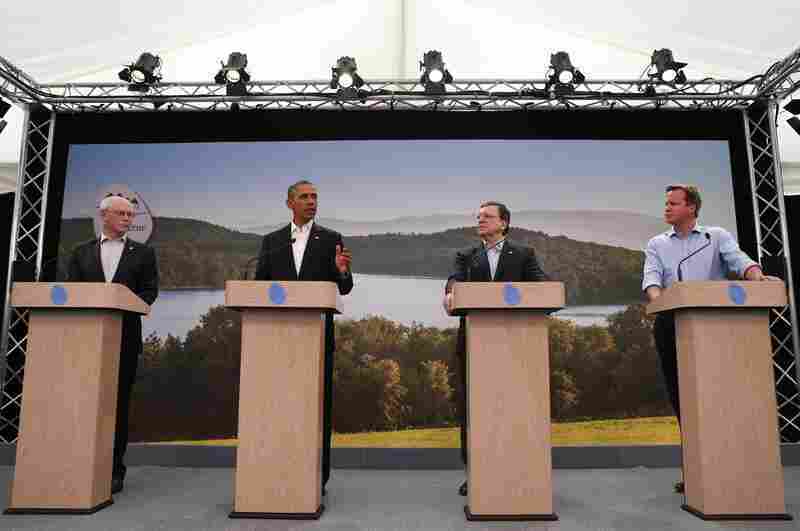 : Parallels The Group of Eight summits can sometimes be a little short on real news. Perhaps that's why the British media was writing about Prime Minister David Cameron's decision to scrap his jacket and tie. British Leader: Trendsetter, Or A Bit Too Casual? The G-8 leaders speaking at this news conference in Northern Ireland all lost their ties, but British Prime Minister David Cameron went a step further by ditching his jacket and rolling up his sleeves. World leaders take an opportunity to show, in the words of the BBC, "that they are getting down to business and doing so in a matey-like manner." It wasn't always so informal. 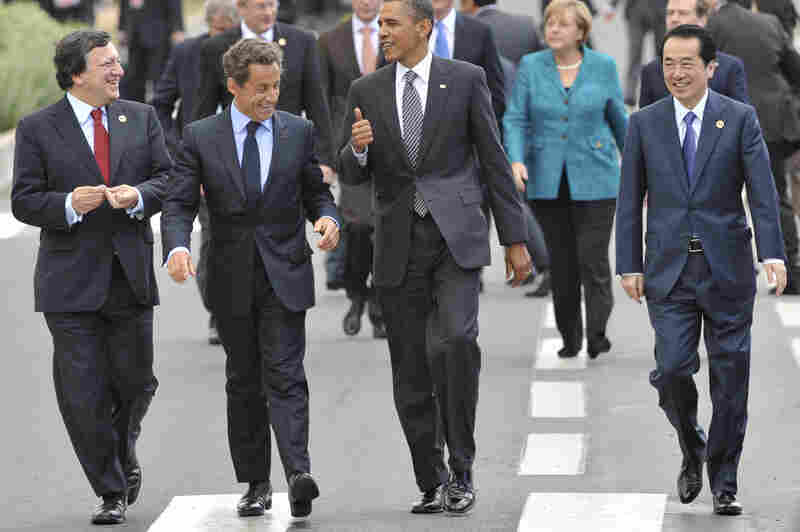 In 2011, European Commission President Jose Manuel Barroso, French President Nicolas Sarkozy, President Obama and Japanese Prime Minister Naoto Kan walk together, in suits and ties, no less, after a meeting at the G-8 summit in Deauville, France. 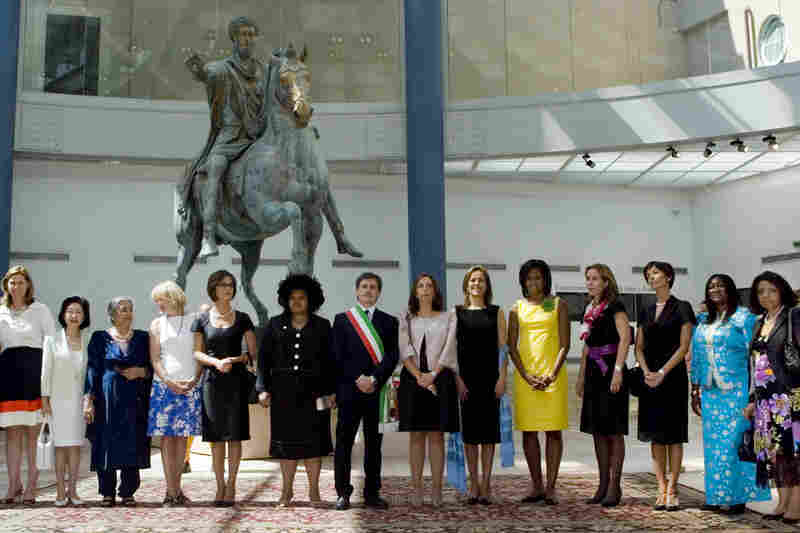 The spouses of the G-8 didn't need style tips for the summit in L'Aquila, Italy, in 2009. ... and none of the flair of the Asia-Pacific Economic Cooperation summit. 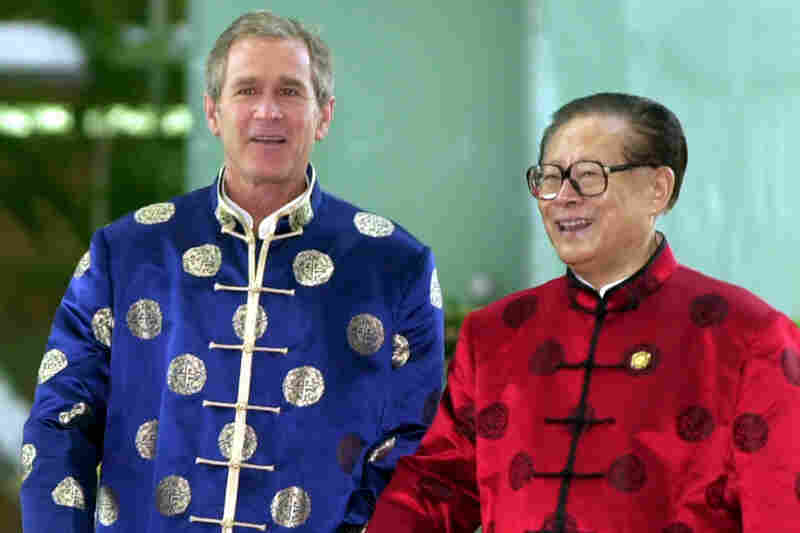 President George W. Bush and Chinese President Jiang Zemin appeared together in traditional-style silk jackets at the APEC meeting in Shanghai, in 2001. British Prime Minister David Cameron is sometimes picked on for his privileged background, and at the Group of Eight summit in Northern Ireland, he sought to go casual. 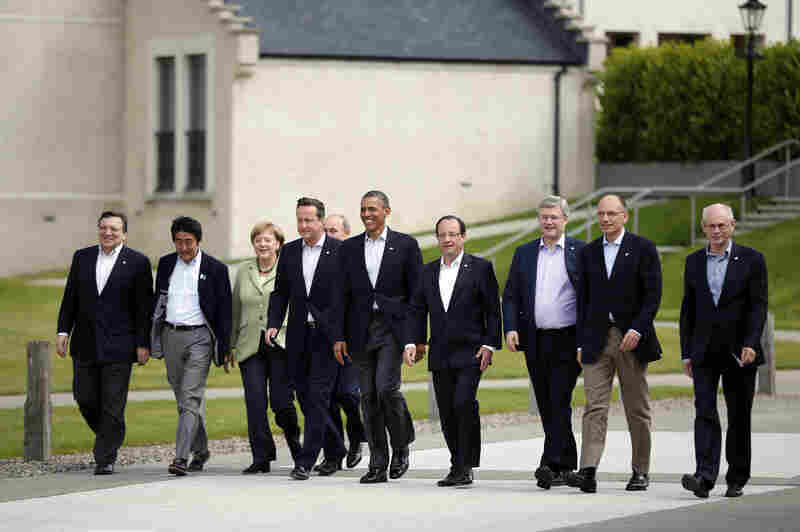 Not only did he ditch the tie, as did other leaders, Cameron also shed his jacket and even rolled up his sleeves. Not everyone was won over. As columnist Michael Deacon of The Telegraph put it: "A crucial early victory for David Cameron at the G8 summit in Northern Ireland, as he comfortably outdid his counterparts in the all-important Unconvincing Attempt to Look Relaxed." Cameron later appeared with a jacket, but he had already drawn attention to himself by this point. As the BBC noted: "Many people might say the forced informality makes for uncomfortable viewing. A man in a dark suit and white shirt with no tie does not inherently look relaxed and informal. He just looks like a man who forgot his tie because he overslept." 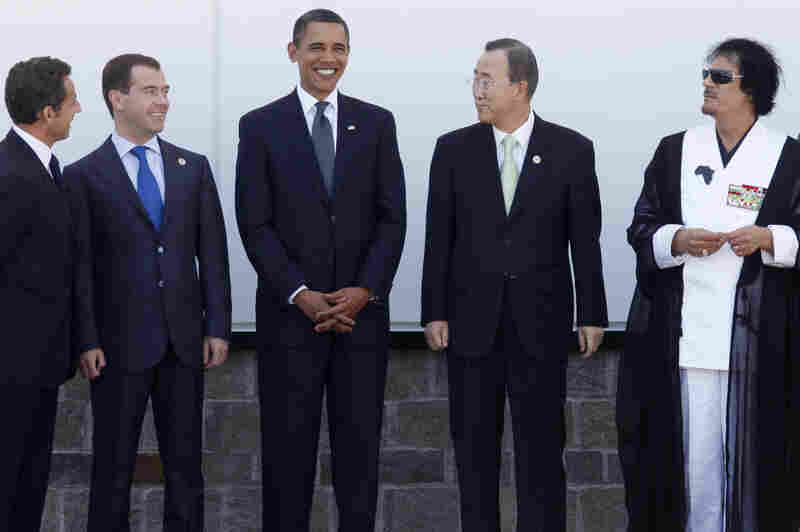 As our slideshow shows, previous G-8 summits haven't always been quite so informal.